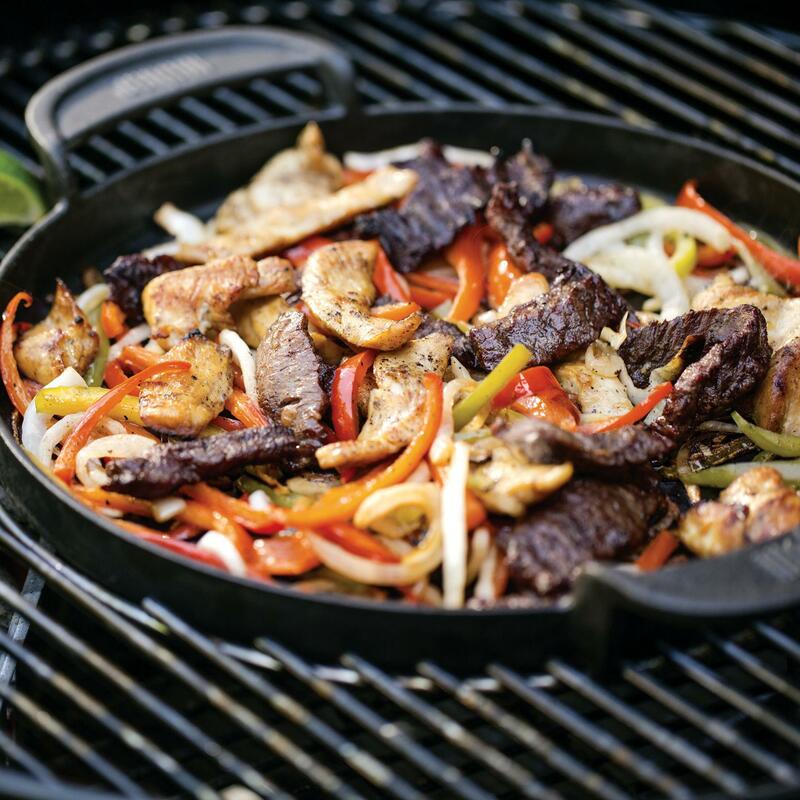 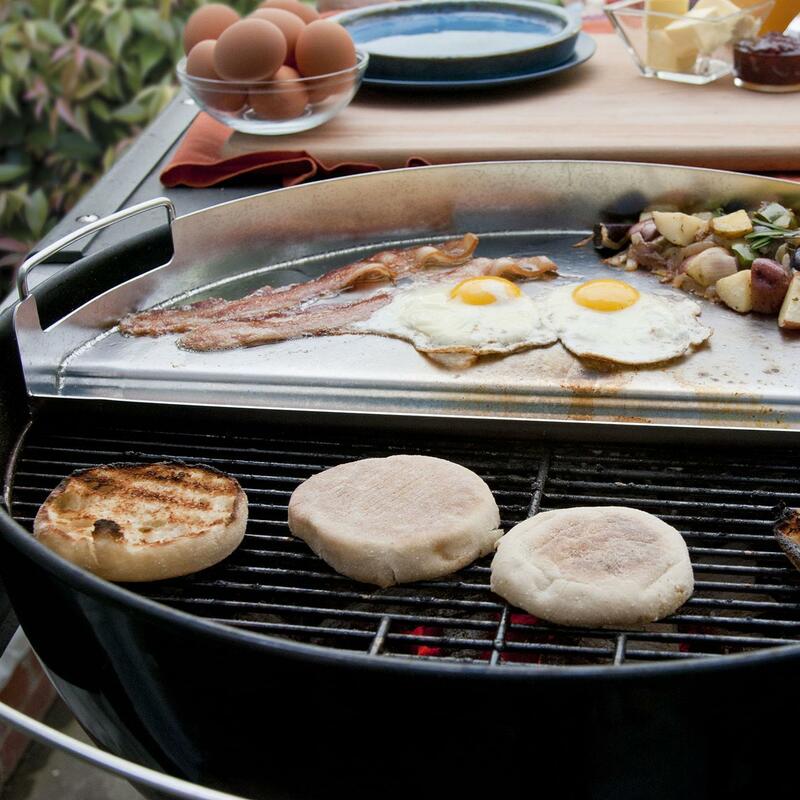 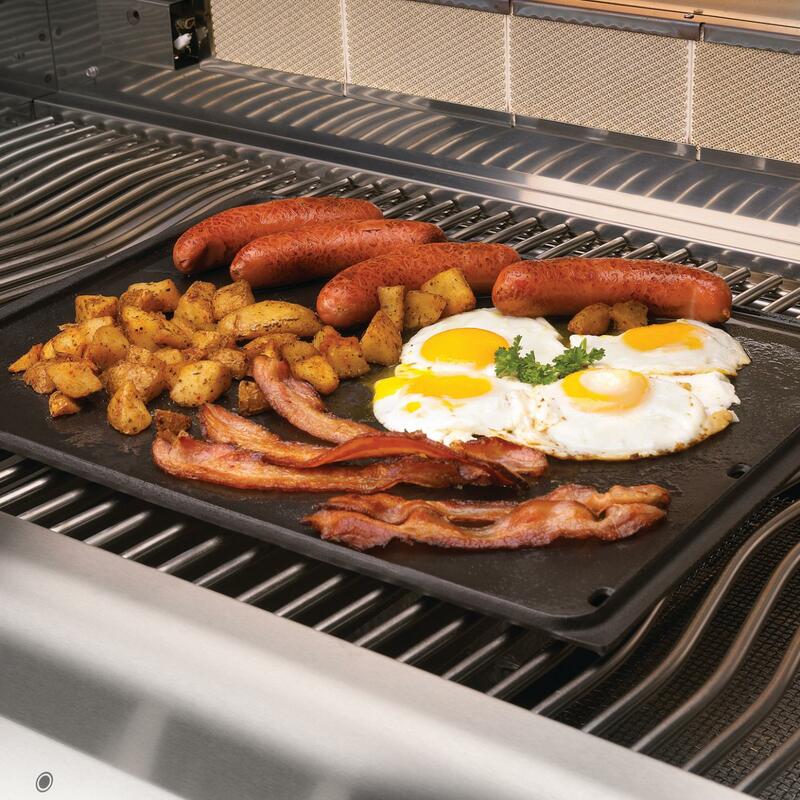 Product Description: Broil King 18 X 12-Inch Professional Stainless Steel BBQ Griddle. 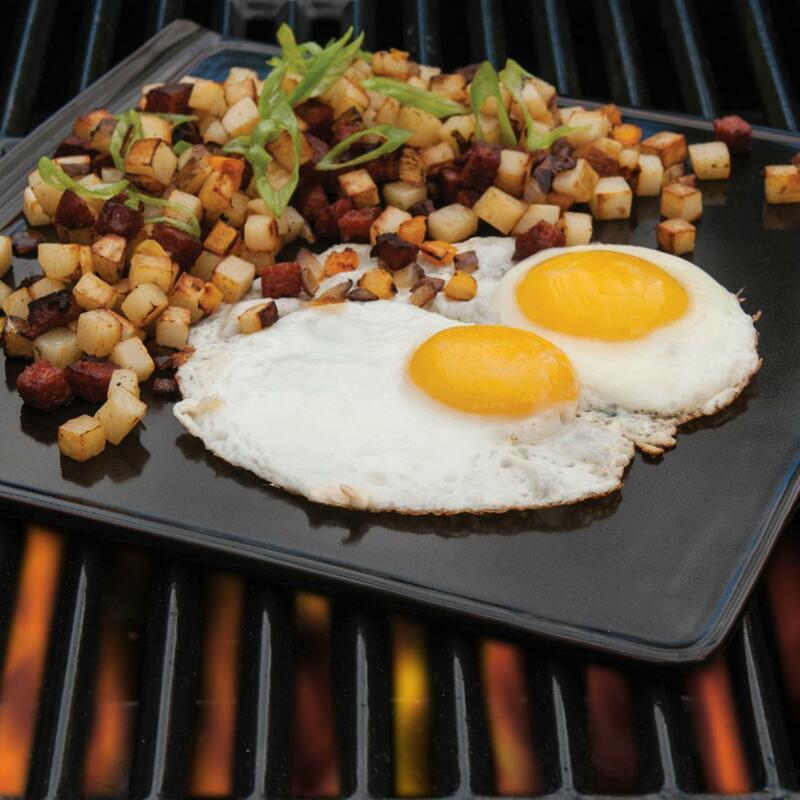 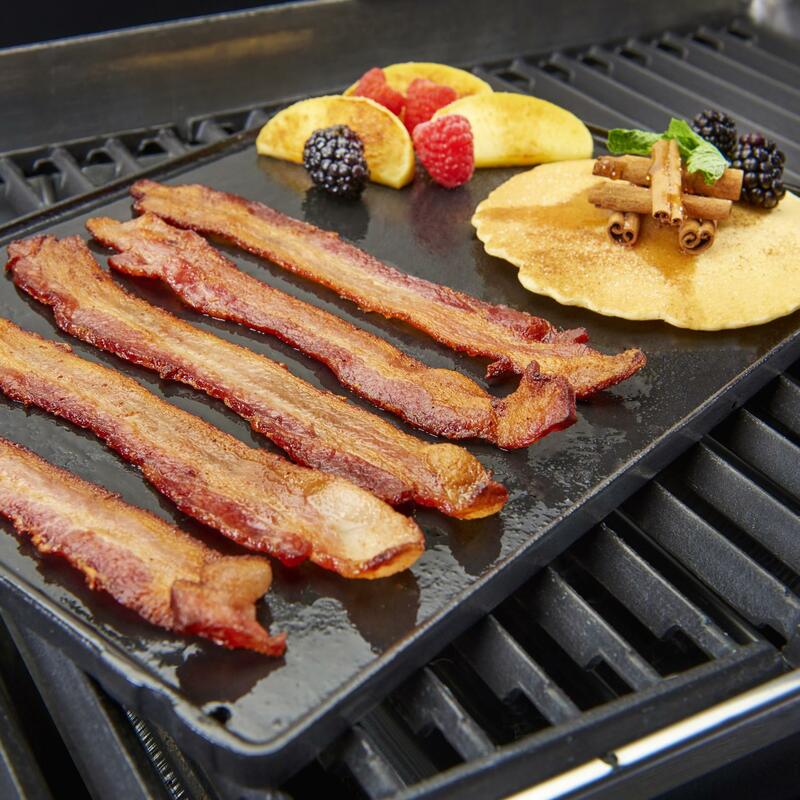 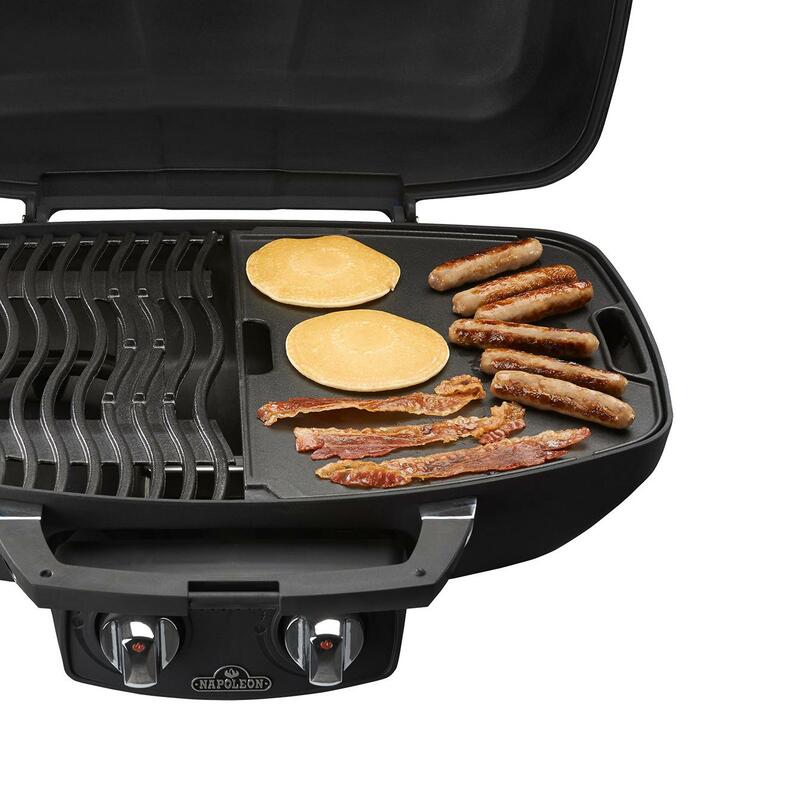 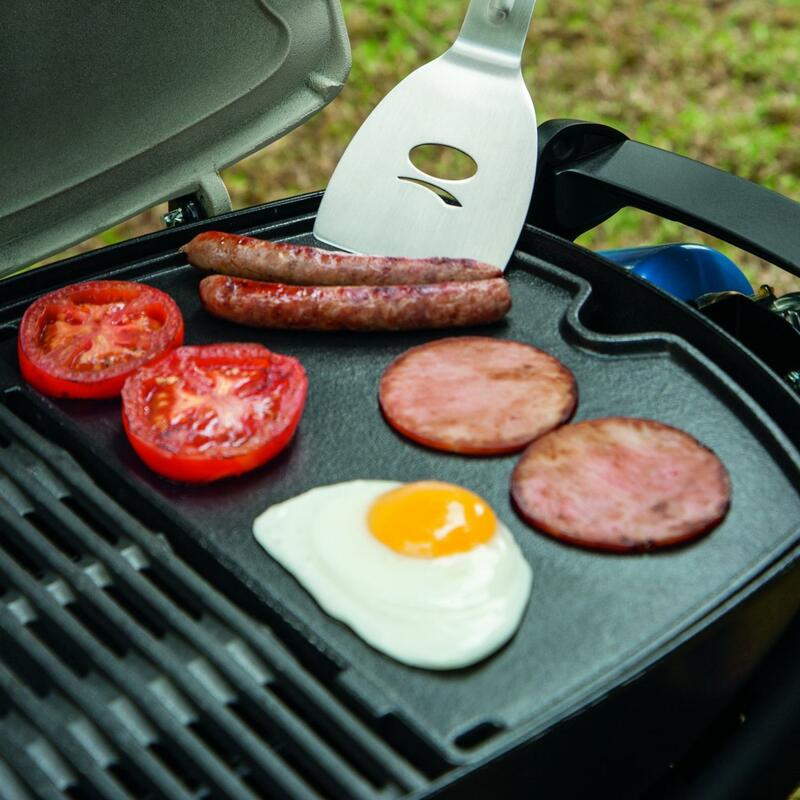 This Broil King griddle features a 18 X 12-inch cooking surface and a built-in seven ounce capacity grease trough with pour spouts for easy cleaning. 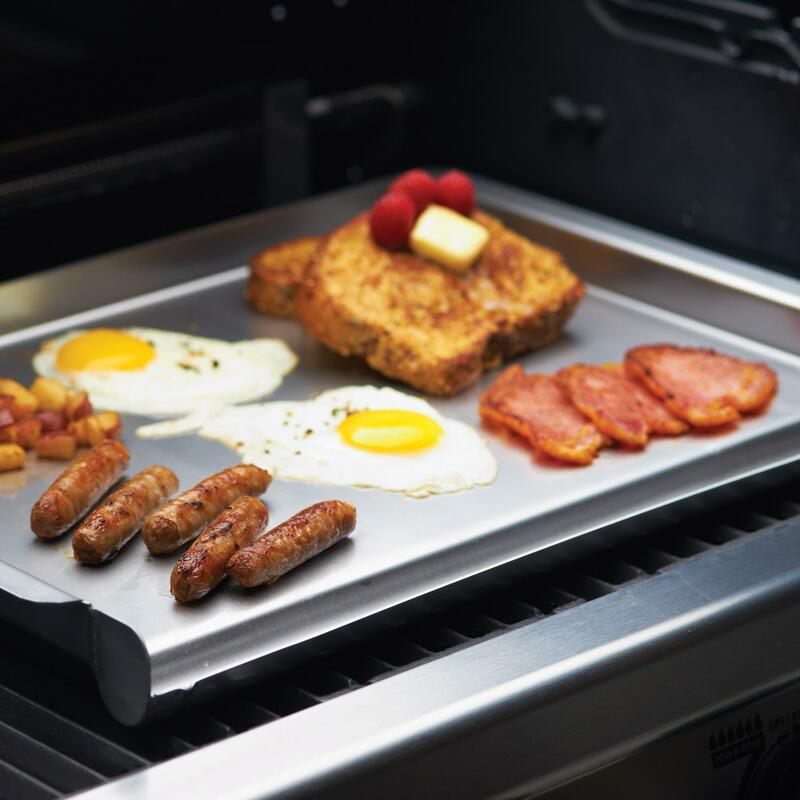 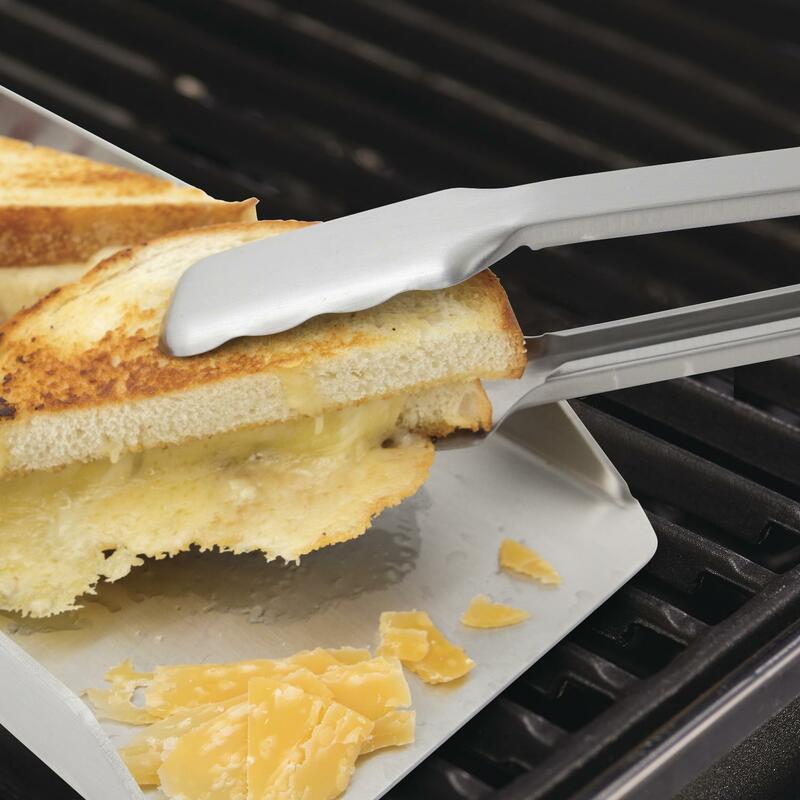 The three sided design also prevents food from slipping off the griddle. 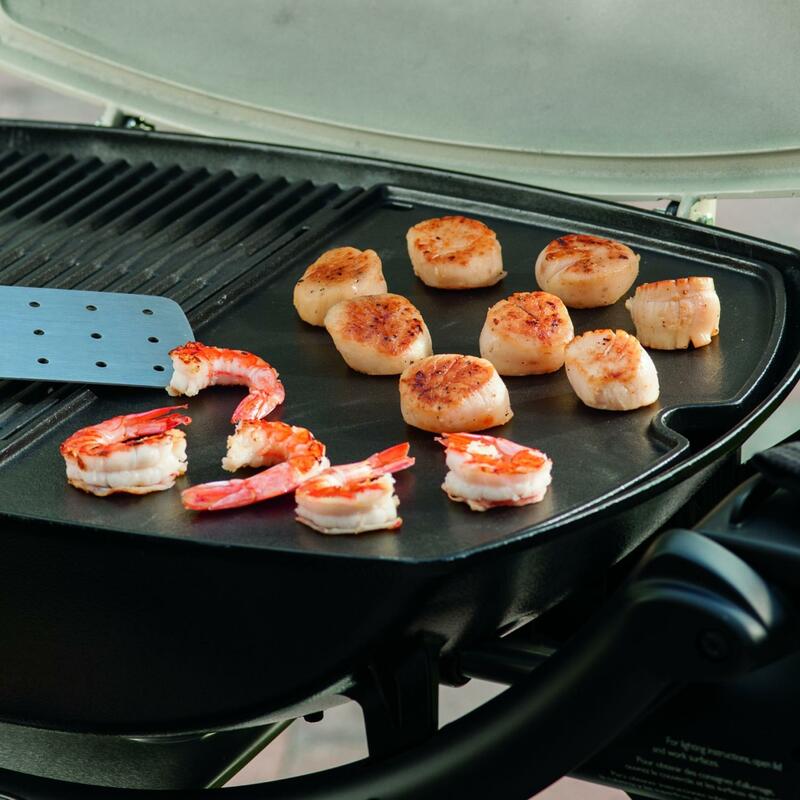 It is perfect for searing, frying bacon or sauteing seafood.